When I was little, like most other youngsters I was fascinated with the idea of secret passages, hidden escape routes and the like. There weren’t many subterranean hidey-holes in Dorset, though admittedly a few local whisperings caught my imagination. A smugglers tunnel beneath the floor of the Antelope Inn, it was rumoured, ran down to the quay. A more recent (and surely less truthful) urban myth held that my secondary school, built at the height of Cold War paranoia in the late 60s, contained within its foundations a large nuclear fallout shelter. Forget Poole though, London is obviously the place for truly fascinating underground tales. As a kid I looked delightedly at the vast tube map and wondered ‘where did they start?’ I mean, literally, where were the first few miles of track laid? Later I learned that the first underground railway in the world was begun on the stretch of Metropolitan line between Farringdon and Paddington. 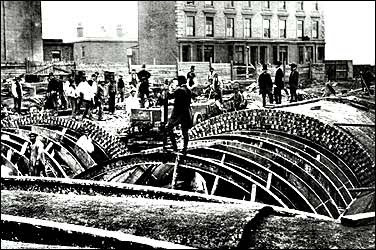 It’s difficult to imagine the endeavour (and urban disruption) this would have caused – back in the 1850s there were no deep-level drills, so ‘cut and cover’ was employed. The whole street would have been cut open, the tunnels dug within and then the surface replaced. You wouldn’t get away with that under Boris Johnson. When I learned that there were hidden, inaccessible bits of the Underground network, my imagination really started whirring. It’s fascinating to think of long disused railway platforms, caught in stasis underneath the feet of an ever-changing metropolis. 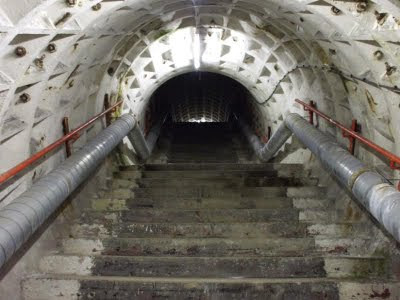 Upwards of forty stations have been closed over the years, but several do still exist – for example Down Street on the Piccadilly Line which closed in 1932, still very recognizable from street level, and apparently containing many of its original track level fixtures and fittings below. 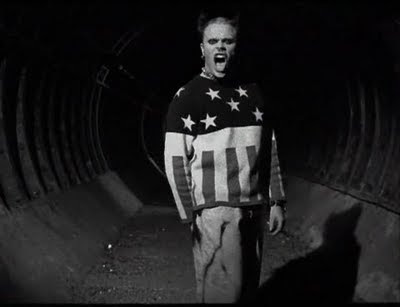 Another former station, Aldwych, can be seen frequently in film and music videos - like the Prodigy ‘Firestarter’ video where Keith Flint leaps around inside a tunnel. That’s down in Aldwych, apparently. Until fairly recently the tube wasn’t the only deep-level railway in London. Til 2003 there was the Post Office railway, which carried diddy narrow gauge trains packed with parcels. 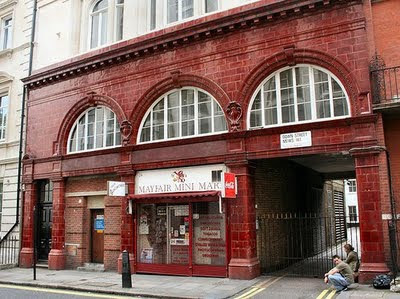 It originally had eight stations between Paddington and Whitechapel – and ran for almost 80 years, completely unseen by the average Londoner. In terms of weird and wonderful stuff below the City, though, that’s only the thin end of the wedge. In the 1930s there was a plan for a New York-style express version of the Northern and Central lines – running below and parallel to the existing lines. I first noticed evidence of this myself when I was living in Clapham. I was intrigued by a round, concrete building next to the station. This, I soon discovered, was the sealed entrance to a deep level air raid shelter, built during World War II. The government had authorized the digging of tunnels for initial use as air raid shelters. In peacetime the plan was to connect them up to form an express tube. The shelters were only used a few times, and the scheme was quickly dropped – but the tunnels all remain. One of these tunnels, at Chancery Lane, became part of the Kingsway telephone exchange, a large subterranean reinforced telecommunications centre - designed to withstand a nuclear blast. This employed many staff and, at one stage, was known to house Britain’s deepest licensed bar (at 200 feet). My ex-landlord had a book called ‘War Plan UK’ which showed intriguing photos of the entrance to this deep level stronghold – a completely anonymous door off Kingsway next to a launderette. Very Harry Potter. 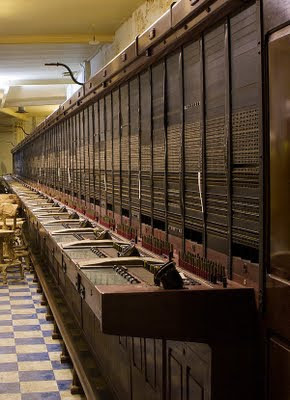 Talking about wartime contingencies, the Cabinet War Rooms under Whitehall are obviously an unmissable tourist destination – but only small a section is viewable by the public. Who knows what is contained in the other secret corridors? Apparently they link up to the basement of Selfridges. Speculation is also rife about what exact form the government’s current nuclear contingencies have taken. The possibility of some pretty lurid urban myths is illustrated by a piece I read many years ago in The Times. As I recall, the article referred to a secret underground shelter in the Wiltshire countryside designed for use by government officials – and hinted that the tunnels even had their own pub called The Rose and Crown. The site, Burlington bunker in Corsham, is now decommissioned – it’s huge and amazing, but I’ve yet to see any photographic evidence of this fabled pub. 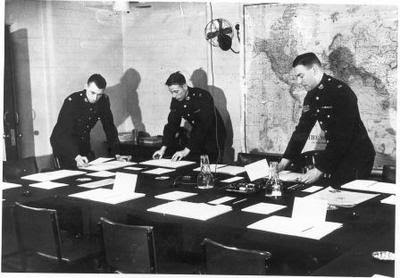 As a result, one must perhaps take descriptions of the MOD’s newest emergency command centre with a pinch of salt. 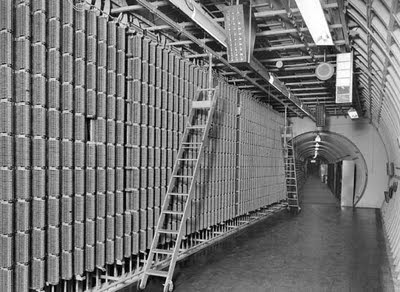 We do know that in the 1980s the British government spent untold millions building a large deep-level government facility underneath Whitehall. It’s called PINDAR – and contains accommodation, conference rooms and a television studio. 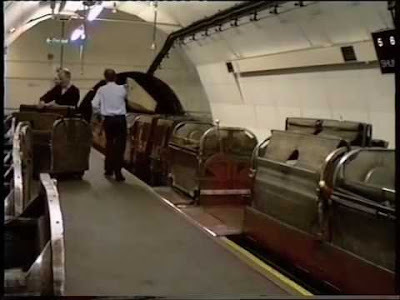 It’s not known whether it connects directly with Downing Street, and ministers have hotly denied that it links directly to the tube or rail network. The place is intriguing precisely because we don’t know what’s down there. Photographer David Moore was fortunate enough to be granted access in the mid-noughties – but his resulting snaps, heavily censored both in pre and post production by the MOD, are an exercise in rather beautiful, knowing obfuscation. They are really quite mundane and don’t look like they were taken deep, deep underground. 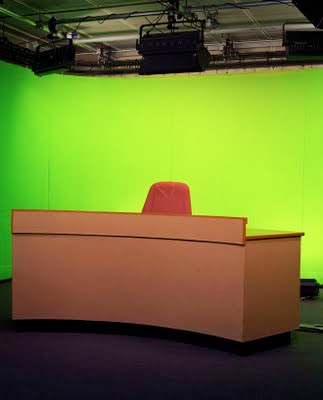 Still, they may just be the backdrops we’ll see flickering on our screens when the apocalypse comes.